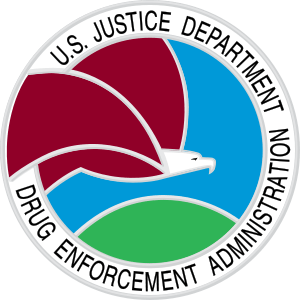 The Drug Enforcement Administration is deeply troubled to learn of the decision by a Mexican court to release infamous drug trafficker Rafael Caro-Quintero from a Mexican prison. Caro-Quintero had been serving a 40 year prison sentence in connection with the kidnapping, torture and murder of DEA Special Agent Enrique “Kiki” Camarena in February 1985. Caro-Quintero was the mastermind and organizer of this atrocious act. 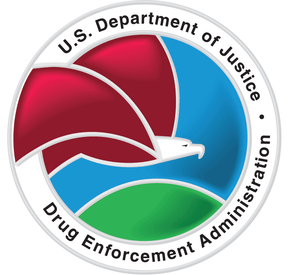 We are reminded every day of the ultimate sacrifice paid by Special Agent Camarena and DEA will vigorously continue its efforts to ensure Caro-Quintero faces charges in the United States for the crimes he committed. ( Washington D.C.) Director Robert S. Mueller, III yesterday announced executive appointments at FBI Headquarters in the Cyber and International Operations Divisions. Joseph M. Demarest, assistant director for International Operations, will move to the Cyber Division as assistant director. Deputy Assistant Director Michael S. Welch of the Cyber Division will become assistant director of the International Operations Division. Mr. Demarest entered on duty as a special agent in 1988 and served in the Anchorage and New York Field Offices. During that time, he gained a wide range of experience investigating white-collar crime, violent crime, counterintelligence, and drug cases. He was assigned to the Counterterrorism Division in 2002, where he was promoted to unit chief and later acting section chief in the International Terrorism Operations Section. Mr. Demarest returned to New York in 2005, where he held management roles in the International Terrorism Branch, ultimately becoming special agent in charge for counterterrorism. In 2008, he was appointed assistant director in charge of that office. During that time, he created the New York Field Office’s Cyber Branch. He was named assistant director of the International Operations Division in 2010. Before joining the Cyber Division, Mr. Welch served as special agent in charge of the Indianapolis Field Office and as section chief in the Office of International Operations. He also has been assigned to the Criminal Investigative Division, as well as the Kansas City, Miami, and Washington Field Offices. Mr. Welch entered on duty as a special agent in 1988. “In his role as assistant director, Mike will be responsible for hundreds of employees at Headquarters and in 78 locations around the world. His experience in criminal matters and his prior leadership role in International Operations make him the right person for this job,” Director Mueller said. Additionally, Cyber Division Section Chief James C. Burrell has been appointed deputy assistant director of the Cyber Division. Mr. Burrell entered on duty as a special agent in 1991. He was assigned to the National Infrastructure Protection Center—the precursor to the Cyber Division—in 1998 and later was promoted to unit chief of the Cyber Division’s International Investigative Support Unit. For more than five years, he was a delegate to the G-8 Senior Experts Subgroup on High-Technology Crime. Mr. Burrell also supervised the Computer Intrusion, Cyber Crime, and Computer Analysis Response Team programs in the Boston Field Office and later served as Boston’s assistant special agent in charge with responsibility for the cyber program.